There is nothing that sounds more beautiful to me that the words “My book!” Up until about 10 years ago, for most people to publish their own book was not possible. As a person working in the book publishing industry, I cannot count how many times a friend, a family member, or even a stranger has said asked me, ”Can you tell me how to publish my own book?” I did not have an answer when I was working for the book publishers. However, now that we have entered the digital publishing era, it is affordable and doable to publish your own book and sell it online. No longer do poor starving writers have to go begging to traditional book publishers. Now when asked the “how to publish my own book” question, I recommend the print on demand method to self-publish a book, and read on to find out more. With decades of experience in the publishing, printing, and advertising industries, my passion is to get your book to the finish line, so you too, can share in the exhilaration of being a published author. Through your success, I can experience that unforgettable exhilaration over and over again! Publishing a book is a long and frustrating and expensive project if you do not know what you are doing. I honestly do no think it possible to publish a book for free. Many self-publishers advertise “self-publish for free,” but believe me when I say this—that statement is purely a technicality. You an upload your digital file for free; and that is only 1 out of 100 or so steps required. I published my first book “for free,” except for the expanded distribution option on Createspace ($39), except for the $76 worth of must-have proofs, and except for the $45 for the royalty-free photo I bought for the book cover. The rest I did myself, but that was based on decades of experience working in the publishing, printing and advertising industries; with publishing software and skills! Even then, it took hours and hours of sweat equity, but that was a cost of time. The closest thing to “publishing for free” is what I did for my first book—but it was not really free and I have not done it that way since! Now I can truly say that I know how to publish my own book, and now I can teach others how; but I will never to all those different pieces myself again. In light of this, you might consider hiring a good publishing coach or buying and reading a book on how to publish your book on Amazon, before launching off into the Cyberspace of publishing. These efforts will save time and money far beyond what they cost. Preparation—How to Publish my Own Book? The First Steps to prepare you to self-publish your book are Steps 1-4 in the previous article entitled, “How to Publish Your Own Book.” (hyperlink). 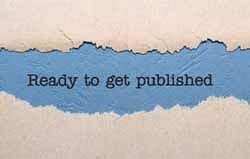 In this article we walk you through the basic steps of the preparing yourself for the self-publishing process. We start here with step 5. 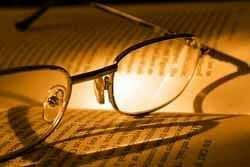 Step 6: Start your Book Project: To start your title in your dashboard on Createspace, you will need to know the name of your book title, its subtitle, and if it will be Volume 1 or 2, and the edition it is. If this is your first book, it will be the first edition. For your first book, and to keep it simple, select the Createspace ISBN number. Step 7: Upload your cover: Createspace will give you 3 cover options: Build your own over using their cover template; upload your professionally designed book cover as a PDF file; or hire them to create a cover for you. These prices range from $199 all the way up to $1000 or more for a custom designed cover. If you want a professionally designed custom designed cover there are ways to get the highest quality covers done for around $150. You do not need to use the printing company’s added services, as they can be quite pricey. Step 8: Upload your interior: Unless you are a graphic designer and know how to use a sophisticated publishing program, you will need to hire someone to do the interior file. They need to prepare the interior file according to the size of book you have selected, and it will need to be in a print ready PDF. Createspace will give you the printing specifications to download to your designer. Again, I suggest there are better sources for an interior designer than through the ad on services of the printing company. Step 9: Submit your files for approval: Your files will be examined by Createspace reps to be sure that your file meets the printing specifications. If it does not, your book will not be published, and they will request the corrections. You’ll need to go back to your interior designer, or cover designer to make the necessary changes. Step 10: Order a Proof: Once your file is acceptable, you have the opportunity to order a proof. ALWAYS, always, order a proof. There are too many errors and corrections that cannot be seen until you have the physical copy in hand. This is a brief overview of the digital publishing process; but you might have a few more questions such as, How to publish my own book on Kindle? How to publish my own book online for free? How to publish my own book for free? 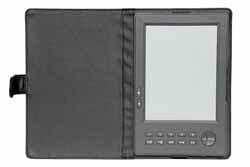 How to Publish My Own Book on Kindle? Once of the reasons I heartily recommend you use CreateSpace.com is because once you publish your book, it is just an extra step to publish your book to Kindle,which is part of Amazon. CreateSpace is the wholesale arm of AMAZON.com where you can print your book. Amazon actually is the marketer/distributor of books and will charge about a 40% commission for book they sell from their website. You may use CreateSpace website template as a shopping cart to sell your book from your website. Just create a buy now button and link to the CreateSpace website that is given to you in the distribution channels tab of your dashboard. How to Publish My Own Book Online for Free? Good question. Many self-publishing sites advertise that you can publish for free; and technically they are correct. However, on a realistic level, unless you know how to build professional book covers, design high quality interiors, write marketing copy for the back of your book, have the skill of an editor, know how to proofread, and copy edit, you’ll have to hire these services done by professionals. The last place you want to do this though, is at the “free publishing sites,” because the mark up for these services is high. They will also offer you marketing materials that often cost more than what a normal business card or post card printing company would charge. Watch how much you invest in this project, especially how much the book printing and book publishing companies will charge for marketing materials; when it is doubtful that thee marketing materials will result in book sales. Final Question: How to Publish My Book for Free? There is a way to publish your book for almost free. Use Createspace and do no opt for any expanded distribution. Your book therefore, will not be available through the library and government institutions. Your book will not be available through the expanded distribution options, such as Barnes & Noble’s Online Booksellers. You will need to do everything yourself, for your book to be free. You will need to edit it, design and build the book cover using a sophisticated publishing software program. You will need to also know how to lay out the interior to exact printing specifications and save it as a print ready PDF. You’ll need to be able to write marketing copy for the back cover, set up your Createspace website, to avoid paying commission to Amazon, and also somehow proofread your own work, which is nearly impossible. In the end you’ll have hours of sweat equity invested in your book, and can you really say that is free? Building a book is like building a home. Would you really do it all by yourself?